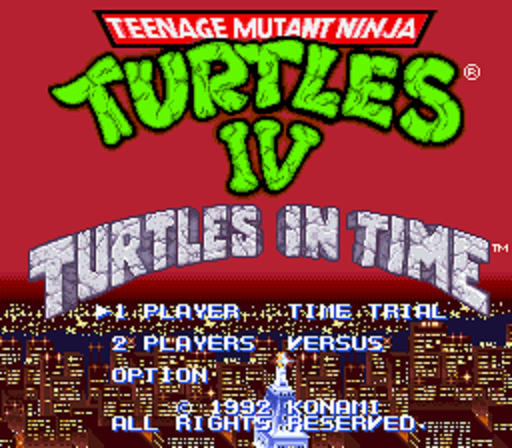 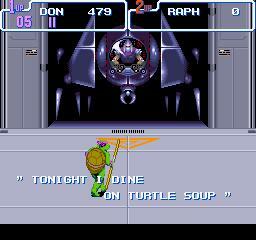 One of the best things about the SNES is the addicting gameplay and TMNT IV is not an exception. 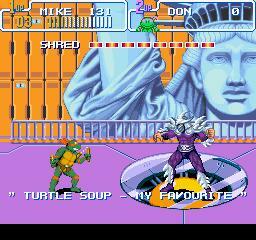 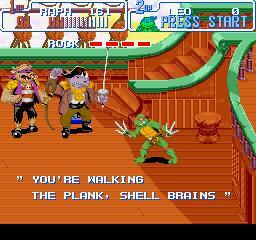 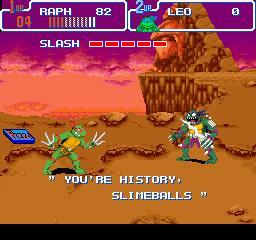 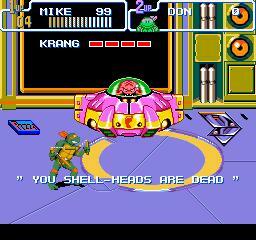 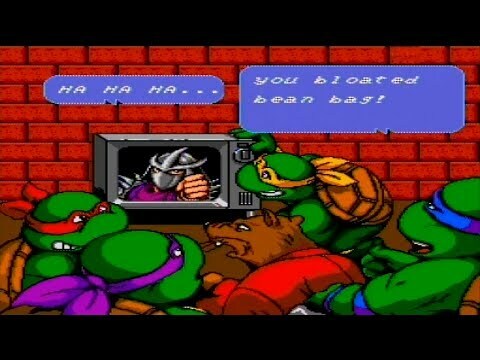 You get to play as any of the four turtles and fight the evil shredder while fighting some bad guys. 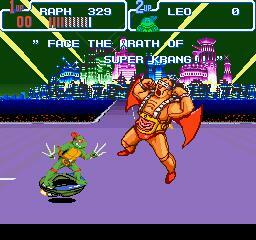 This is classic arcade, old school style so the farthur you get, the tougher it is. 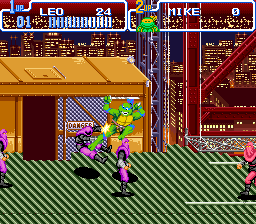 It gets very challenging as you progress. 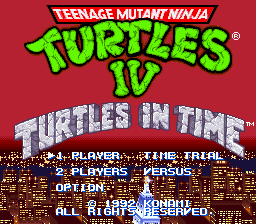 So if you're up for an arcade game, this is it.